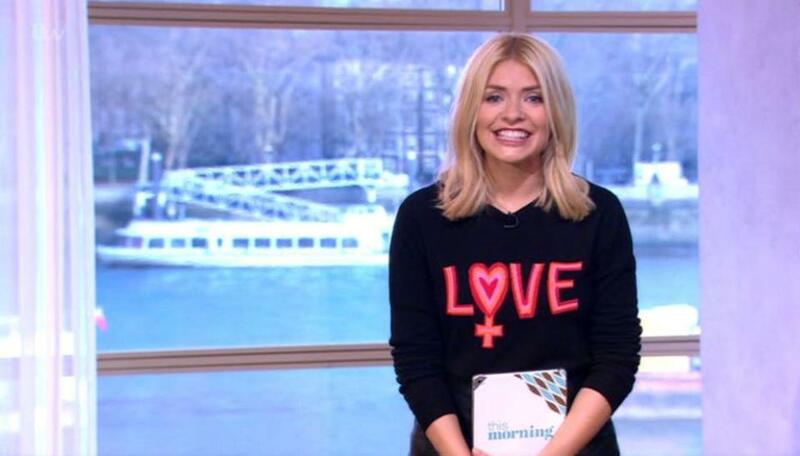 Holly Willoughby was left to host This Morning on her own this morning (February 6) after Philip Schofield walked off. The presenting duo are known for their uncontrollable fits of giggling, and today was business as usual for the two, as Phil began chuckling. 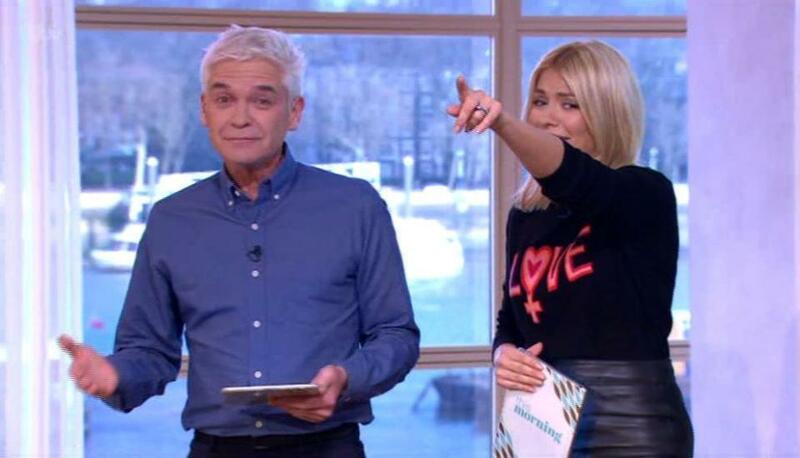 But things went further than we’re used to as Schofe was completely unable to get himself together, to the point where Holly ordered the silver-haired presenter off the camera so she could present alone. The pair had been showing pictures of viewers’ pets blending into the background, which inevitably caused a bout of laughter from the two chummy presenters. And it was only a matter of time before an unfortunate innuendo was dropped in; when Phil said ‘front bottom’ in response to a dog which couldn’t be found. If you seen any of the frankly hilarious videos of the two of them erupting into laughter before, you’ll know what happened next. 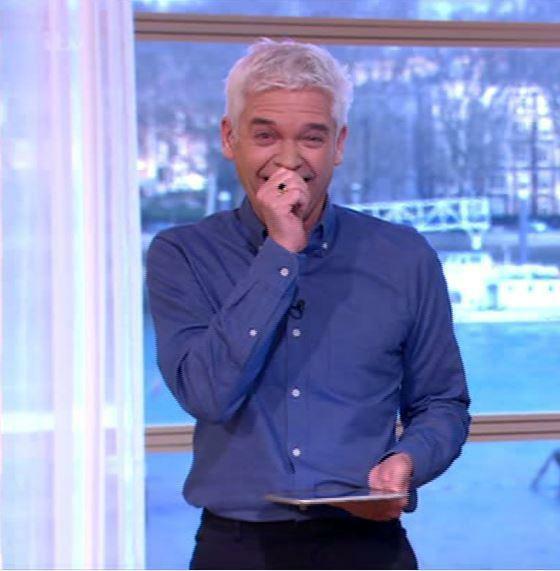 Phil was laughing so hard he struggled to read his lines – he just couldn’t get himself under control. This prompted Holly to apologise, and Phil to exclaim that this fit of merriment was the second such episode in two days, for which he was sorry. To be honest, in my opinion these are the best bits of the show, it’s almost impossible not to laugh along with them. I’m so sorry, we are so unprofessional. It gets to the point where you just think ‘oh I can’t haul it back’. Holly ordered him off camera for a cool down, which he obligingly obeyed, leaving Holly alone to present the next segment to camera on her own. While we are used to seeing the two erupt into laughter, it’s usually Holly who can’t get herself together, so it’s nice to see neither are above a bout of the giggles. 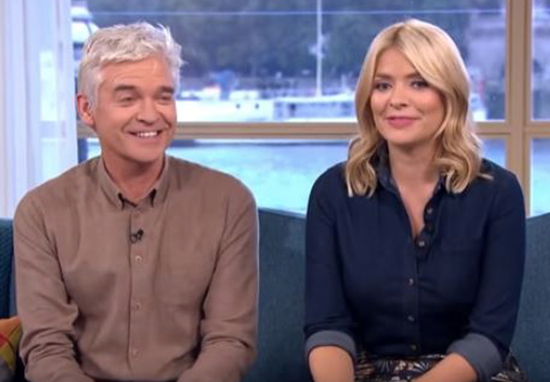 Obviosuly though, the two are clearly popular, after taking home the award for ‘Best Daytime Show’ at the National Television Awards last month. The two even carried out a little prank on the show the morning after to commemorate one of their more ‘revealing’ moments from the year before. After a few moments, Holly and Phil burst through the message clutching their award and looking much more fresh-faced than last year! The two turned up to present last year with serious hangovers after the ceremony, and both were wearing the same clothes from the night before. I haven’t been home yet, I came straight here. We’re a proper mess. But thank you for voting for us to win. We celebrated on behalf of each and every one of you. 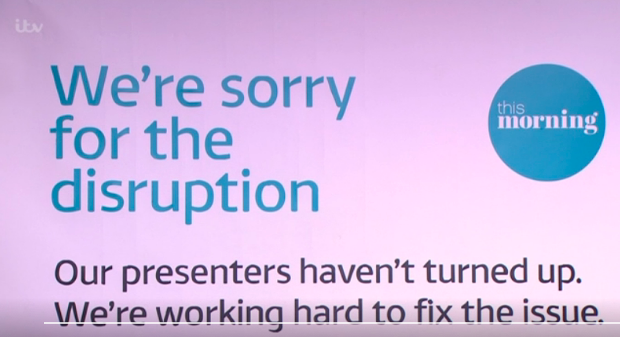 They really are the TV presenters we need, and not the ones we deserve. Never change you two!